A beautiful ribbon staircase by HSH architects. 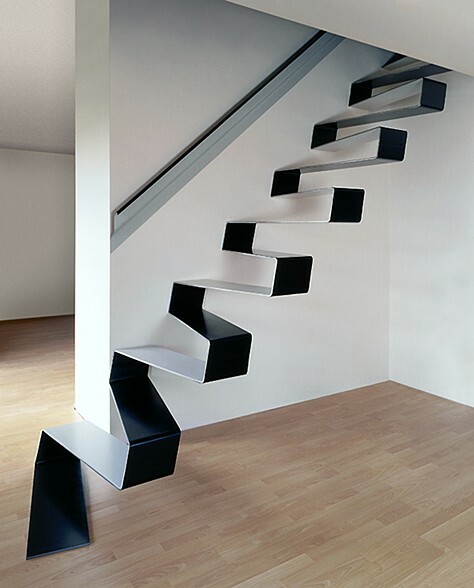 The staircase is constructed from 10mm thick sheet metal. Each of the brackets is constructed as a rigid frame. The higher steps bear mainly drawing forces, while pressure is transmitted through the lower steps.